The Orthodox Monastery of St Catherine stands at the foot of Mount Horeb where, the Old Testament records, Moses received the Tablets of the Law. The mountain is known and revered by Muslims as Jebel Musa. The entire area is sacred to three world religions: Christianity, Islam, and Judaism. The Monastery, founded in the 6th century, is the oldest Christian monastery still in use for its initial function. Its walls and buildings of great significance to studies of Byzantine architecture and the Monastery houses outstanding collections of early Christian manuscripts and icons. The rugged mountainous landscape, containing numerous archaeological and religious sites and monuments, forms a perfect backdrop to the Monastery. St. Catherine’s Monastery is one of my Seven Wonder Egypt. Saint Catherine is a city in Egypt’s South Sinai Governorate, located at the outskirts of El Tur Mountains. The city is located at an elevation of 1,586 meters above sea level. 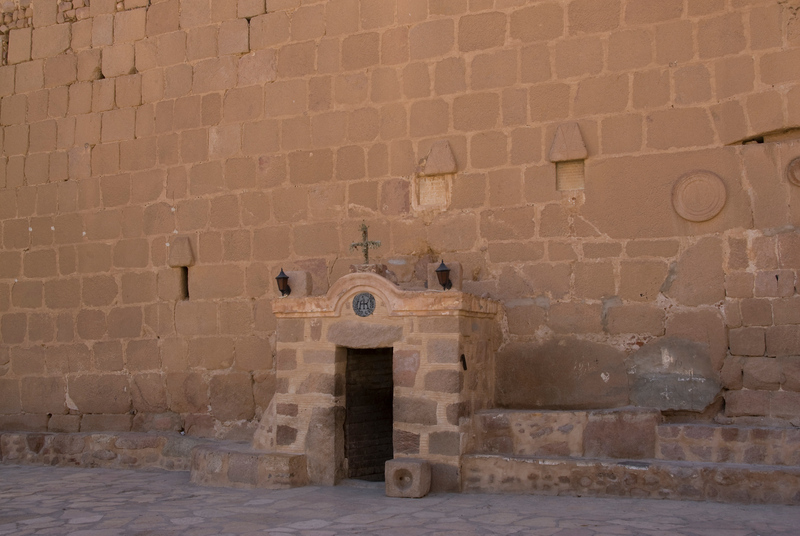 Within this city, you will find the UNESCO World Heritage property of Saint Catherine Area. 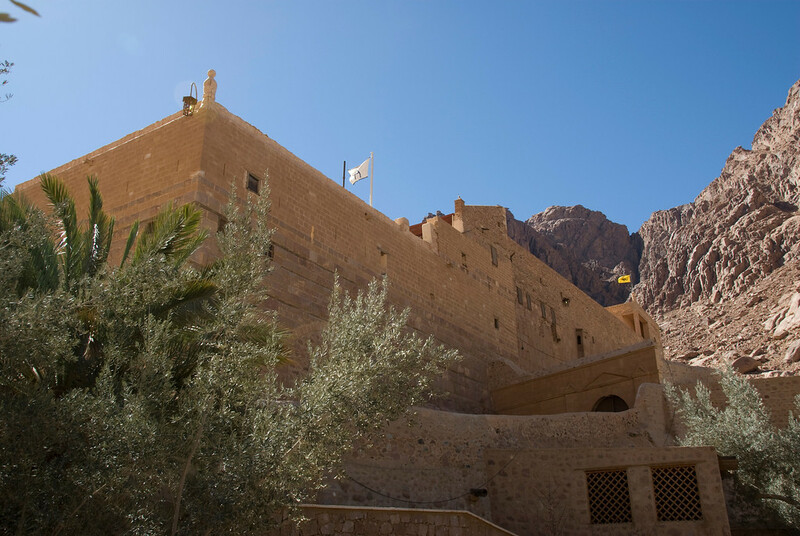 The Saint Catherine Monastery is the primary feature of this UNESCO World Heritage Site. It is also commonly referred to as the Sacred Monastery of the God-Trodden Mount Sinai. This monastery was built for by the Order of Sinai and was established in 565. However, this cultural property was inscribed into the UNESCO list in 2002, making it one of the most recent additions to the list of UNESCO World Heritage Sites in Egypt. This monastery is one of the oldest Christian monasteries in the world that is still being used today. Saint Catherine has always been an integral part of the Egyptian Empire and history, even though it was not yet established as a city. Saint Catherine belongs to the province of Deshret Reithu. In 16th century BC, the Egyptian pharaohs commissioned to the building of the way of Shur. This extended from Sinai to Beersheba and Jerusalem. During this time, temples and other ruins were discovered within an area near Saint Catherine, specifically in the Valley of Inscription. These temples were traced back to the 12th-century Dynasty and from the New Kingdom. It was during the Roman and Byzantine era when Saint Catherine’s Monastery was built. It was also critical in the formation of Saint Catherine as a city. The construction began in 527 and was completed in 565. The Saint Catherine Monastery was built to commemorate Catherine of Alexandria. Tradition says that Catherine was a Christian martyr who was sentenced to death on a breaking wheel. When this failed, she was beheaded instead. Then, angels brought her remains to Mount Sinai wherein monks discovered her remains around the year 800. Since then, the site of the monastery has been dedicated to Saint Catherine. It is also a popular site for pilgrims. The monastery is unique since it is not only considered sacred by the Christians, but also of worshipers of Islam and Judaism. It is not just the Monastery that is considered culturally and historically significant. 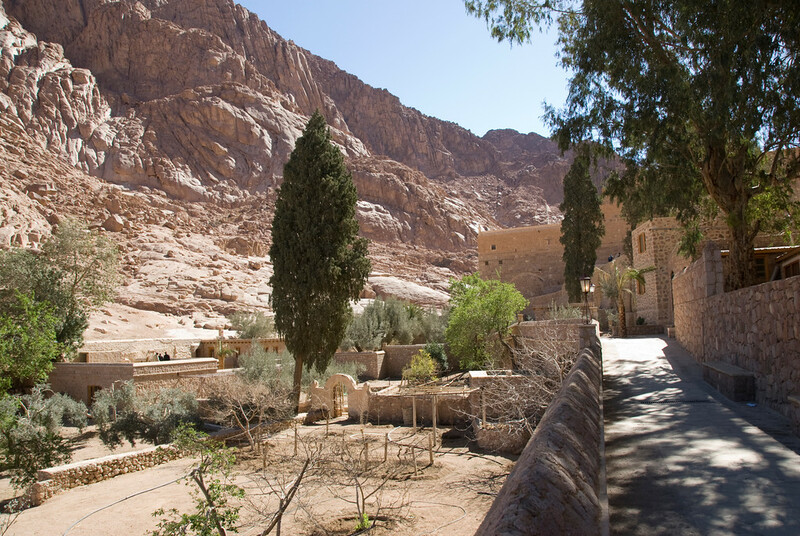 It is believed that the bush surrounding the monastery in Saint Catherine Area is the one that Moses saw. Today, the monastery, along with several other dependencies within the Saint Catherine Area, is part of the Church of Sinai. There are several accommodation options near and within the Saint Catherine Area. Your options range from hotels, tourist villages, ecolodges and campsites. There are also several facilities you would expect from a modern township such as bank ATMs, hospital, police station and a post office. In every district of Saint Catherine, there are shops, cafes, and restaurants. Most malls and supermarkets close by midnight while restaurants close at around 9 PM. To travel to Saint Catherine Area, you can do so via the small international airport in the city. This airport is St. Catherine International Airport. View the complete list of UNESCO World Heritage Sites in Egypt. You have the most incredible pictures.